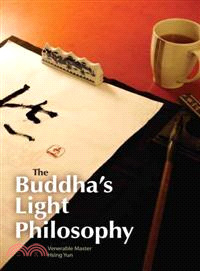 The Buddha’s Light Philosophy examines the management and accomplishments of the Fo Guang Shan Buddhist Order and the Buddha’s Light International Association (BLIA). These organizations, founded to further the goals of Humanistic Buddhism, have flourished around the world and touched many lives. The Buddha’s Light Philosophy traces their purpose, mission, concepts, and guidelines to provide the reader with an understanding of Humanistic Buddhist practice in the modern world. Venerable Master Hsing Yun has been a Buddhist monk for over seventy years and has spent his life working to promote Humanistic Buddhism. He is the founder of the Fo Guang Shan Buddhist Order, which has branch temples throughout Asia, Australia, Europe, and the Americas. He is the author of many works including For All Living Beings and Being Good: Buddhist Ethics for Everyday Life.